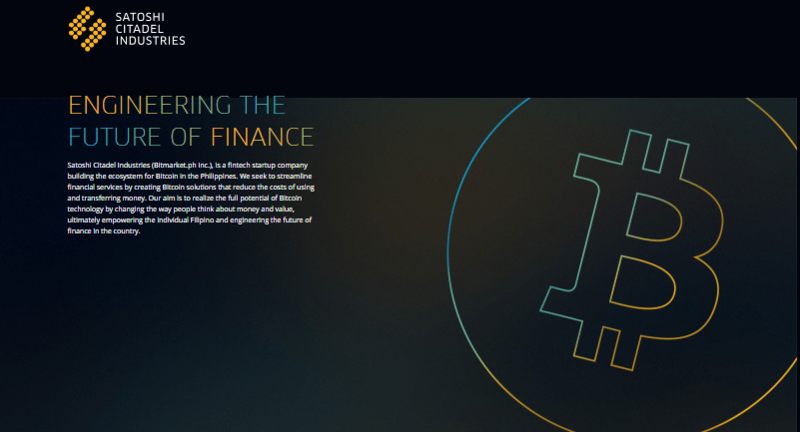 The leading Bitcoin and financial technology company in the Philippines has just received a decent amount of funding from one of leading South Korean company. K Venture Group, the investment arm of Kakao Corporation (KOSDAQ: 035720) has invested an undisclosed amount in Satoshi Citadel Industries. With the influx of new investments, Satoshi Citadel Industries can now help its businesses expand, whereas for K Venture Group, this partnership will not only improve its portfolio by including a next generation fintech company into it, but it will also help Kakao Corporation gain enough insight into the technology, helping them replicate the model. It is also worth mentioning that the biggest bitcoin remittance platform Rebit.Ph is also operated by Satoshi Citadel Industries. In addition to Rebit.Ph, the company also has other products some operational and some in the pipeline. These products include BitBit, BuyBitcoin.Ph, BitMarket.Ph and PrepaidBitcoin.Ph. The Bitcoin industry never fails to be unimpressive. Right after the Central Bank of Philippines decided to crack down on money remittance companies including Philrem Service Corporation for not complying with AML and KYC regulations, the Central Bank of Philippines decided to introduce bitcoin regulations. Even though there has not been any solid information about the progress in Central Bank’s decision, it has surely opened a can of worms. It is only a matter of time before the over enthusiastic president-elect Rodrigo Duterte start pushing for it, just like the way he publicly encouraged people to go ahead and kill drug dealers with utter disregard for law and public safety. The game becomes a bit more dangerous as bitcoin has gained notoriety as being the preferred currency of criminals. But in reality, bitcoin is doing more good than harm everywhere in the world. More so, in the Philippines itself. The Philippines is one of the leading remittance markets, with a significant inflow coming from the overseas diaspora in the form of bitcoin. Bitcoin is preferred over conventional ways of remittance due to reduced transactions charges. By regulating the digital currency, the Central Bank may increase the liabilities for bitcoin companies, especially when it comes to AML and KYC regulations. With most bitcoin companies still operating as startups, these regulations can put these companies under a heavy financial burden, forcing them to either comply or leave the territory, causing irreversible damage to the country’s financial ecosystem.